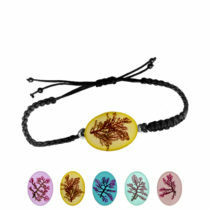 Limu Seaweed Jewelry made from the finest brick red, natural Limu. Used throughout Polynesia, the word limu, as applied to this beautifully delicate “flower of the sea”, has a lovely resonance and widely accepted association with the beauty of Hawaiian sea life. 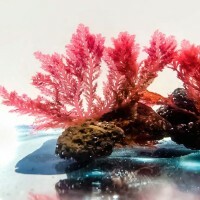 Limu is an algae (seaweed), widely used throughout the Islands culturally in ceremonial and ritual events, medicinally, gastronomically, and in designs of lei. 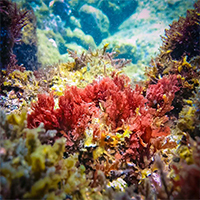 Colloquially in Hawaii, Limu means a wide range of edible algae yet scholarly references and dictionary definitions apply a wider meaning to that word, including algae that grows in moist areas on land in addition to those in the sea, including those not edible. Attached to rocks and physically strong, underwater they waft softly and gracefully in all directions in the currents. However, on being removed from the sea, they clump together like a girl’s long hair coming from the shower. Hence, to rearrange them as delicately as in these pieces requires particular skill and patience. 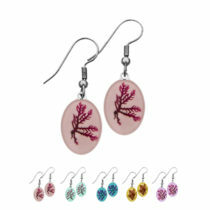 Hence, to rearrange them as delicately as in these seaweed jewelry pieces, requires particular skill and patience. 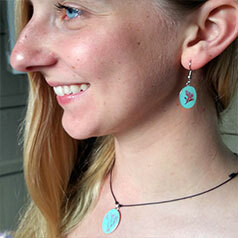 They are presented in a beautiful series of designs as Limu pendants (necklaces), bracelets, brooches and earrings. Scientifically known as Portieria hornemannii, this particular red algae grows on the lava coast just outside Hilo on the Big Island where it’s seasonally prolific. Finally, limu is not endangered, endemic, or invasive, its pungent smell is so strong no fish, human or turtle will eat it! 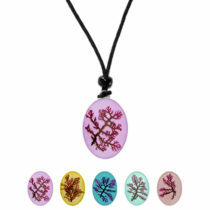 We guarantee our seaweed jewelry to be highly attractive, durable, & very practical to wear – a unique gift of the Hawaiian flower of the sea.